Osgood-Schlatter disease most often occurs during growth spurts, when bones, muscles, tendons, and other structures are changing rapidly. Because physical activity puts additional stress on bones and muscles, children who participate in athletics — especially running and jumping sports – are at an increased risk for this condition. However, less active adolescents may also experience this problem.In most cases of Osgood-Schlatter disease, simple measures like rest, over-the-counter medication, and stretching and strengthening exercises will relieve pain and allow a return to daily activities. During the appointment, your doctor will discuss your child’s symptoms and general health. He or she will conduct a thorough examination of the knee to determine the cause of the pain. 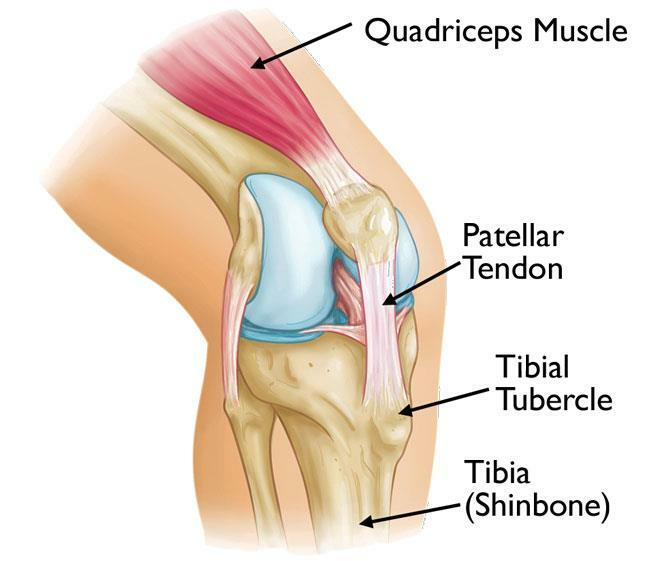 This will include applying pressure to the tibial tubercle, which should be tender or painful for a child with Osgood-Schlatter disease. In addition, your doctor may also ask your child to walk, run, jump, or kneel to see if the movements bring on painful symptoms. Your doctor may also order an x-ray image of your child’s knee to help confirm the diagnosis or rule out any other problems. Standing quadriceps stretch. You should feel this stretch in the front of your thigh. Tip: Do not arch or twist your back.